The Series of Awards Continues with a Silver Golden Hammer! Great news from Riga, Latvia: our Switch Off! 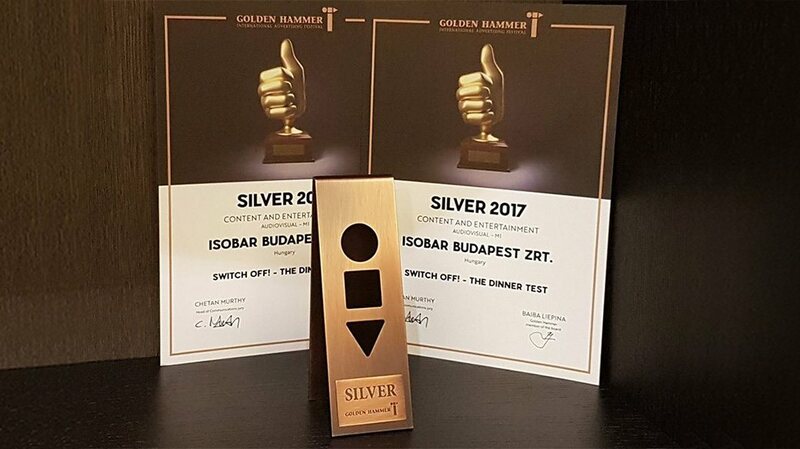 - The Dinner Test campaign for Hungarian Telekom won a silver at the 2017 Golden Hammer international advertising festival in the cathegory Content and Entertainment / Audiovisual!